Qatar International Hotel is located in Doha and is close to Qatar Museums Authority. 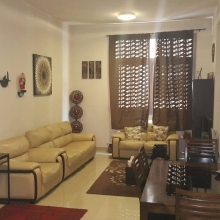 It is situated a short walk from Al Koot Fort. The hotel has 42 rooms offering all the essentials to ensure an enjoyable stay. Those staying at Qatar International Hotel can enjoy a unique dining experience at the on-site restaurant, ideally located for those who want to stay nearby for a meal. The hotel is under a 20-minute drive from Hamad International Airport. Souq Waqif is a short stroll away.